The removal of wisdom teeth has become so commonplace that is almost a right of passage for young adults. Wisdom teeth are a type of molar that is found in the very back of your mouth. There are four wisdom teeth: upper left, upper right, lower left, and lower right. These teeth usually appear in late teens or early twenties but may become impacted (fail to erupt) due to lack of room in the jaw or angle of entry. The most common type of impacted wisdom tooth is “mesial”, meaning that the tooth is angled forward toward the front of your mouth. 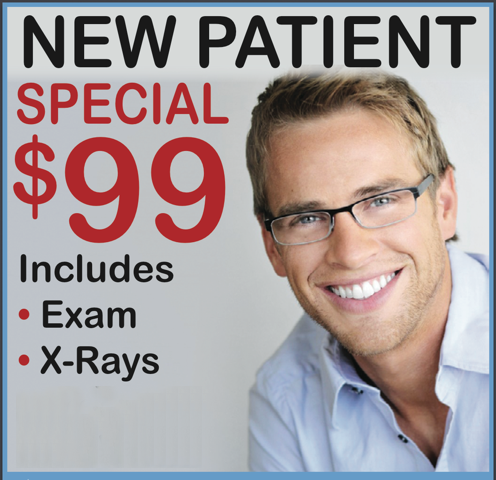 Each patient’s situation is unique, and Dr. Ross will take x-rays and discuss your particular needs with you. If Dr. Ross recommends removal of your wisdom teeth, it is best to have them removed sooner than later. As a general rule, wisdom teeth are removed in the late teens or early twenties because there is a greater chance that the teeth’s roots have not fully formed and the bone surrounding the teeth is less dense. These two factors can make extraction easier.